Bloomability: Inspired by The Small Things Blog! Kate Bryan, an extraordinary blogger does amazing hair tutorials! I have followed her blog for years so now that I started my own, I figured I would work on a few of her hair styles and show them off, except instead of blonde hair I'll show you how it looks on a brunette. To start us off, I chose one of her simpler hairstyles....the classic messy bun! 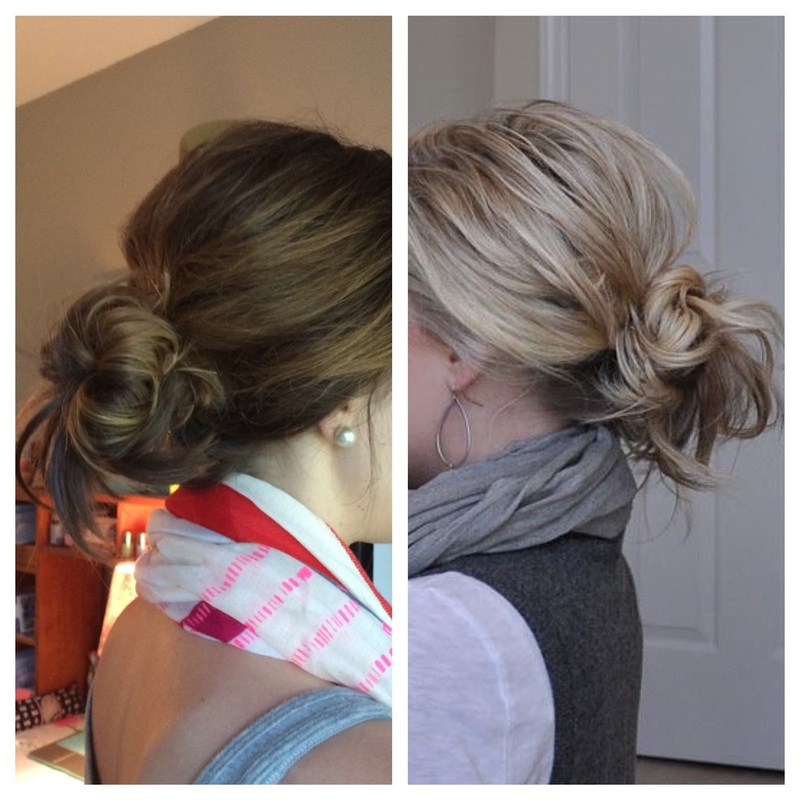 The key to mastering the messy bun is having your hair a little dirty and styled before attempting to master THE BUN. One thing I've discovered is, the messy bun actually takes work so it looks put together and not like a rats nest. So my first tip for you is, style your hair in this up-do the day after you wash it. That will help it not to fall out. The other key is not having super long hair, unfortunately it won't work for this hairstyle. If you have long hair and figure out a way to make it work, please share! The next suggestion I have is curl your hair quickly or a few pieces to give it some body. Spray it with some hairspray. One of my favorite hairsprays is Paul Mitchell Extra Hold Finishing Spray (you can get it from Target, Walmart, CVS, and Sally Beauty). Yes it's a little expensive but it lasts awhile and it doesn't take much to hold your hair, PLUS it smells amazing. Once you curl and spray, I like to tease the crown of my head to give it extra body...I am living in Texas, big hair is the THING. ;) Then I follow the rest of Kate's tutorial, the only thing I do differently is I use a black hair band, I only use one because my hair is thick and does better with a thicker band. I use bobby pins to pin certain pieces and pull others. Give it one last spray and ta-da! A perfect summer do!